So, when I told my colleagues that I would spend a full day listening to Charles Petzold talking about Windows Phone development, they said “Great, but who is Charles Petzold?” Now, I maybe so old that I read Petzold’s “Programming Windows” in the 90’s and my colleagues are somewhat younger than me – but one got to know a little bit of history, don’t you think? In my world Petzold has a lot of credibility on programming in general, and I was quite enthusiastic to hear what he had to say on the subject because the chance of me doing some WP7 programming in the future is fairly high. I will not really go in to all the details on what he talked about, but he did a good job in deliver a huge amount of information on how to develop Silverlight applications for Windows Phone – lots of tips of dos and don’ts together with lots of code samples to study and digest in my own pace later on. The bottom line is that I got out of this day very motivated to start write applications for Windows Phone and a lot more equipped than before. 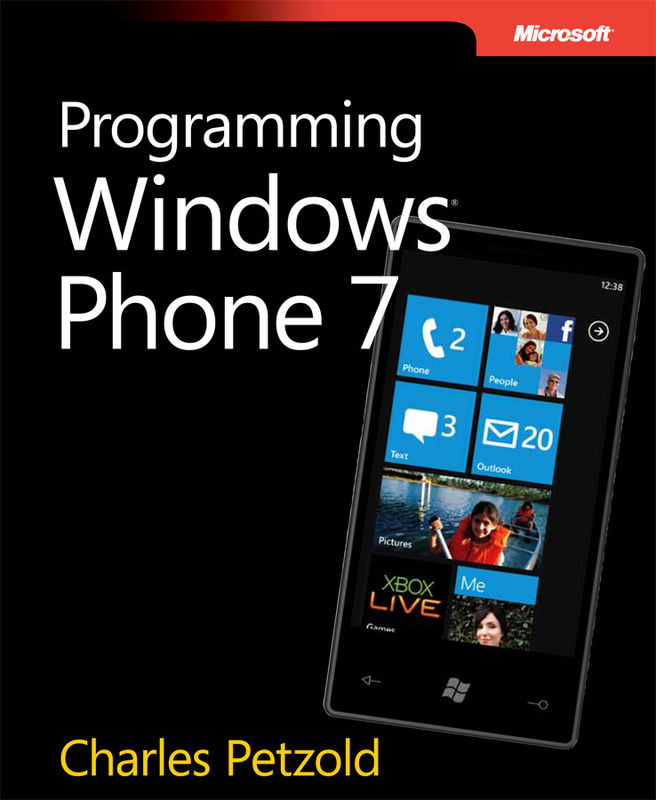 He also pointed to a downloadable version of his latest book “Programming Windows Phone 7”. On my way back to the hotel, when I tried to go through the whole day, one sentence he said kept popping up more than others. And it was something like “Soon, the phone will be the primary (if not the only) computer for a vast majority of people”. This is probably true and it scares me that I haven’t thought of it in that way before, for me as a programmer I sit in front of a desktop or laptop most of the day at work or one of my computers when I’m home - and the rest of the time I usually have a small netbook computer with me and I just use my phone when all other alternatives are gone. Some useful practical tips, but they all came down to kind of “be aware of what you say and do in all places – including social media” and “take and stay in control of how others look at you”. Good speak, fairly enthusiastic but really nothing new. Part 3: How I Re-Invented My Developer Career, panel discussion with Michael Otey, Richard Campbell, Tim Huckaby, Michelle Leroux Bustamente, Jennifer Marsman and Tara Walker. Awake again! A really good discussion on what to focus on how to “stay in shape”, not all that surprised by hearing it is: Mobile, Cloud and knowing the business. Oh, and by the way… nice view from the hotel. The Centennial Olympic Park, CNN Center, Georgia Dome and GWCC – where TechEd is. It’s just a 10 min walk from the hotel and yet they have made arrangements to take buses from my hotel to the Conference Center.